The Lakeside condominiums are located .5 miles from Snow Park Lodge at the base of Deer Valley Resort, and on the free citywide shuttle system. Typically, these townhome-style condominiums feature private garages, fully equipped kitchens, laundry facilities and fireplaces. This complex also offers a common-area outdoor heated pool, two hot tubs and a sauna. 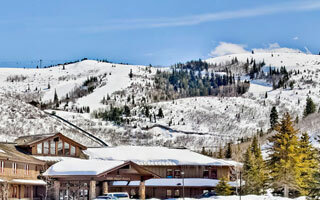 Deer Valley Resort Lodging and Reservations manages some units within the Lakeside complex. Condominiums feature a full kitchen, spacious living area, fireplace and private garage.